Our company is engaged in manufacturing of exhaust fan, mono block pump, submersible pump, ceiling fan, Shallow well Pump pedestal fan, juicer mixer grinder and gas geyser. Control inputs for well probe, (dry running protection) and float or pressure switches. 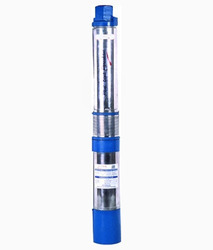 B-Power 4” Submersible Single Phase 54M/F-170 (1HP) is a well-known single phase submersible pump. The pump is made in a way that it successfully meets NEMA standards. Noiseless functioning and higher discharge is maintained with oil lubricated bearing. The pump can be easily maneuvered from one location to another as it has lightweight. Owing to this, it also helps in easy installation of the pump. Various other features comprise of – no suction issues, oil filled, corrosion resistant and efficient functioning. Vibration and noise free functioning. In tune with variegated requirements of our clients, we bring forth a distinguished assortment of Gas Geyser. 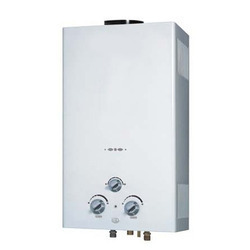 These gas geysers are efficient in high performance and energy saving Automatic ignition system instant hot water in seconds. Our offered range of gas geysers is available in varied specifications & customized options according to the demand of clients. Low maintenance, easy operation and instant heating of water are some of the characteristics of our geysers. 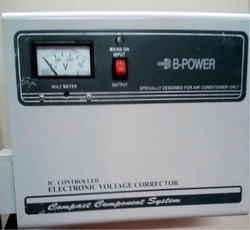 We are widely acclaimed for offering Main Line Voltage Stabilizer that is a perfect solution to all electric problems. We design Main Line Voltage Stabilizer using Copper and IC controlled electronic circuit. Our Main Line Voltage Stabilizer is extensively used in Electrical Appliances owing to its superior quality and power efficiency. In addition, we are a credible Manufacturer and Supplier of Main Line Voltage Stabilizer. The company is engaged in the manufacturing and supplying of Submersible Pump all over the country. The Submersible Pump, we offer, is made from the finest materials in compliance with the set industrial quality standards. Our Submersible Pump has been proved to be highly efficient as well as cost effective. Check valve housing : C.I. Suction Inter Connector : C.I. We are instrumental in offering Air Conditioner Stabilizer. We have designed Air Conditioner Stabilizer especially for AC and Wall mounting using Aluminium with Copper coil ( Aluminium / Copper) transformer coil and IC controlled electronic circuit. The Air Conditioner Stabilizer made available by us are one of its kinds and has no other match in the market. We are a prominent Manufacturer and Supplier of Air Conditioner Stabilizer. The Centrifugal Pump is used to lift the water up to 100 feet with higher suction capacity then a monoblock pump. The Centrifugal Pump, we offer, is used in agricultural and domestic applications. We are counted amidst the famous Centrifugal Pump Manufacturers and Suppliers, based in India. The Monoblock Pump is used for effective water Pumping applications. The Monoblock Pump has a Stainless Steel shaft to protect it from rusting. 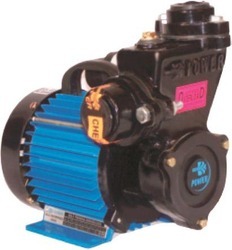 The Monoblock Pump is efficient in performance and durable. We are a famous Monoblock Pump Manufacturer and Supplier, based in India. 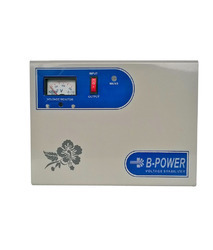 B-Power 4” Submersible Single Phase 64M/F-210 (1HP) is a well-known single phase submersible pump. 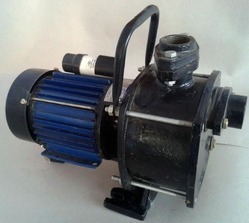 The pump is made in a way that it successfully meets NEMA standards. Noiseless functioning and higher discharge is maintained with oil lubricated bearing. 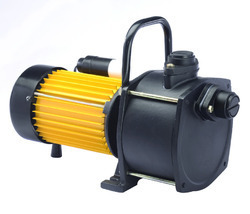 The pump can be easily maneuvered from one location to another as it has lightweight. 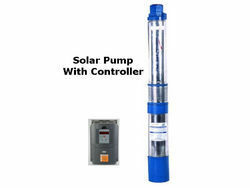 Owing to this, it also helps in easy installation of the pump. Various other features comprise of – no suction issues, oil filled, corrosion resistant and efficient functioning. 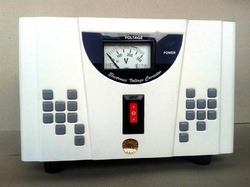 Buyers can avail a comprehensive range of Voltage Stabilizers from us. Our range comprises of Voltage Stabilizer for Air Conditioner, Voltage Stabilizer for Refrigrator, and Voltage Stabilizer for Main Line. The offered range is fabricated using high grade material at our own facility. 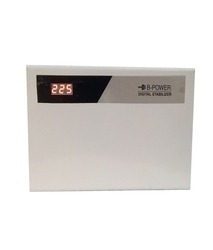 Our Voltage Stabilizers are characterized by superior quality, high efficiency, durability, etc., as a result of which they are highly demanded in the market. We make Voltage Stabilizers available at market leading prices. We are a Manufacturer and Supplier of Voltage Stabilizers. The company is chiefly engaged in the supplying of Pearl Ceiling Fan all across the country. 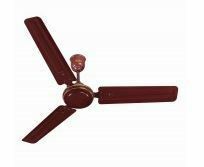 The ISI Certified Pearl Ceiling Fan is used in homes, offices, schools, colleges, factories, etc. The Pearl Ceiling Fan incorporates the latest technology and made fromquality materials. We are known as one of the prominent Hero Ceiling Fan Suppliers, based in India. The Hero Ceiling Fan, provided by us, is attractive in designs and made from the finest materials. Our Hero Ceiling Fan is appreciated amidst the clients for its excellent quality, superb performance and durability. The company is engaged in the manufacturing and supplying of Pedestal Fan all across the globe. The Pedestal Fan is a Multi-Purpose and Sumo Pedestal Fan with unmatched performance and longer service life. The Pedestal Fan is available with us at the market leading prices and can be availed in bulk quantity. The company is a celebrated Power Exhaust Fan Manufacturer and Supplier in India. The Power Exhaust Fan, we offer, is acclaimed amidst the clients for its superb efficiency and longer service. The Power Exhaust Fan, offered by us, is used in homes, offices, factories, colleges, schools, etc. Our expertise lies in manufacturing an expansive range of Fridge Stabilizer. To make Fridge Stabilizer we use Copper and IC controlled electronic circuit and the latest technology. Our Fridge Stabilizer finds its application in electrical appliances. We are a noteworthy Manufacturer and Supplier of Fridge Stabilizer. We are counted among the esteemed Manufacturers and Suppliers of Immersion Heater Rod, which is installed in a tank or container to heat water. We involve the use of Copper, Superloy & titanium in fabricating our range of Immersion Heater Rod. 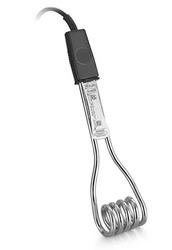 The Immersion Heater Rod that we offer is energy efficient and portable. Our Immersion Heater Rod works very well and heats the water up to the required temperature. Immersion Heater Rod made available by us are used in bathroom or kitchen. We are a leading Manufacturer and Supplier of Electric Heat Convector. Made using Aluminum and Copper coil, our Electric Heat Convector is widely used in domestic appliances owing to its durability and efficient performance. The Electric Heat Convector that we offer performs the dual function of heater in winter and mini fan in summer. We make Electric Heat Convector available in different specifications to meet the requirement of the clients. We are known as one of the celebrated Water Pumps Manufacturers and Suppliers, situated in India. The Water Pumps, offered by us, are available in a comprehensive assortment that is designed in tune with the latest market demands.. These Water Pumps are acclaimed amidst the clients for their excellent performance and compact design. 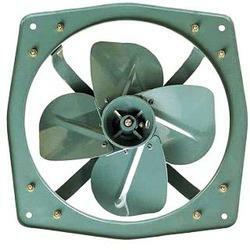 The company is a famed Fresh Air Exhaust Fan Manufacturer and Supplier in India. The Fresh Air Exhaust Fan has a high speed air circulator and heavy-duty motor. The Fresh Air Exhaust Fan has imparts longer working life with enhanced performance. 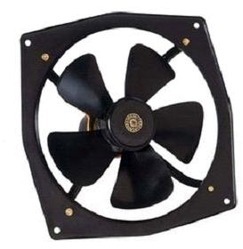 Our Fresh Air Exhaust Fan is available at affordable prices. We are engaged in making available feature packed Electric Geyser. 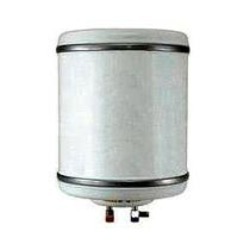 The Water Heater that we offer is used to store hot water. Our Electric Geyser is fitted with ISI marked copper element and magnesium coated tank that protects it from corrosion. We make available Electric Geyser that finds its application in Electrical Appliance. Further, we are a major Manufacturer and Supplier of Electric Geyser.